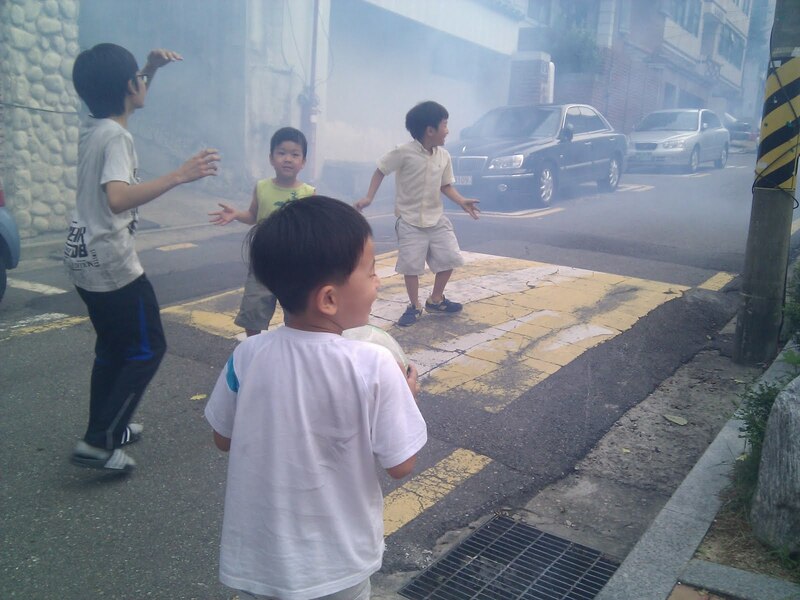 Many Koreans have fond memories of chasing after the mosquito truck as children. 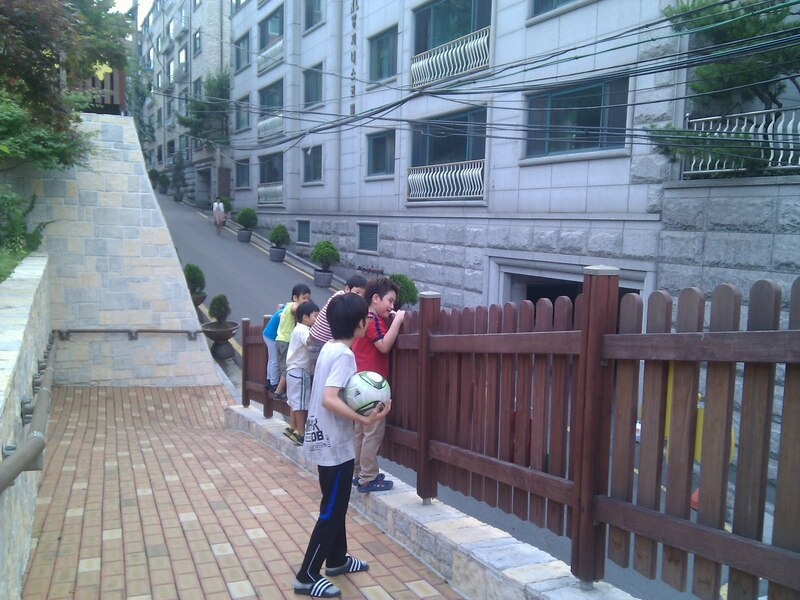 These days children no longer chase the truck and in many parts of Seoul it is not even seen. I live in a mountainous section of Seoul where the air is fresh and clean and mosquitos abound so we still get the mosquito truck speeding along once a week. J and I were at the park the other day when we heard the loud high-pitched lawn-mower like sound of the mosquito truck approaching. All of the kids at the park went crazy and were running from one street to the other looking for the truck. Sure enough it came a long, the kids didn't chase after it only I think because there were a bunch of moms there but they did play in the smoke. 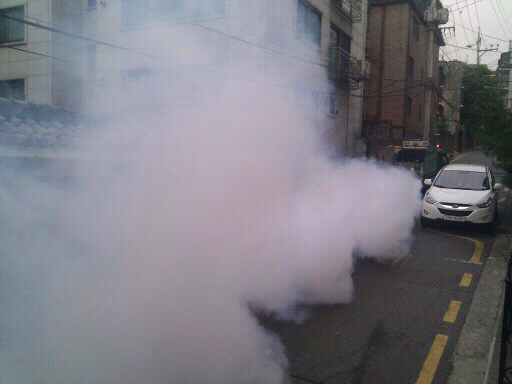 I wanted to get a photo so we stood nearby and ended up inhaling some of the pesticide. It was so awful, it tasted just like gasoline. No wonder all the skeeters are toast. Here the kids are lining up waiting for the truck. The sound of it is so loud but it's kind of hard to guess exactly where it might appear. The kids were running from one side of the park to the next. Haha! So funny!